Not long after securing yet another quality arm for their bullpen (free agent reliever Adam Ottavino) on Thursday, the Yankees’ rumors started right back up again. First, Jon Heyman heard that they were “working hard now on a trade for Sonny Gray,” and then about 20 minutes later he mentioned they were “indeed close to” getting it done. Ken Rosenthal has since added that reports of an extension are expected, though they are not out yet. I’ll update this post as soon as I see it. Sonny Gray does indeed have an extension with the Reds, a source tells ESPN. @Ken_Rosenthal had the details: Three years, $30.5M on top of his $7.5M salary this year, with a $12M club option for 2023. Four guaranteed seasons, five years of control max at $50 million. Gray had previously expected to hit free agency at the end of the 2019 season, but he’ll now stick with the Reds for at least four years. His extension reportedly covers three free agent years (2020-2022), plus one additional season as an option (2023). Altogether, then, he might spend five seasons in Cincinnati. I think Gray might’ve sold himself a bit short – with a good season in 2019, he could’ve landed a bigger deal in free agency – but if the Yankees weren’t going to give him a great opportunity, there’s nothing wrong with locking in some cash when you can. After all, another bad season and he might not have come anywhere close to this deal, given the current free agent landscape. 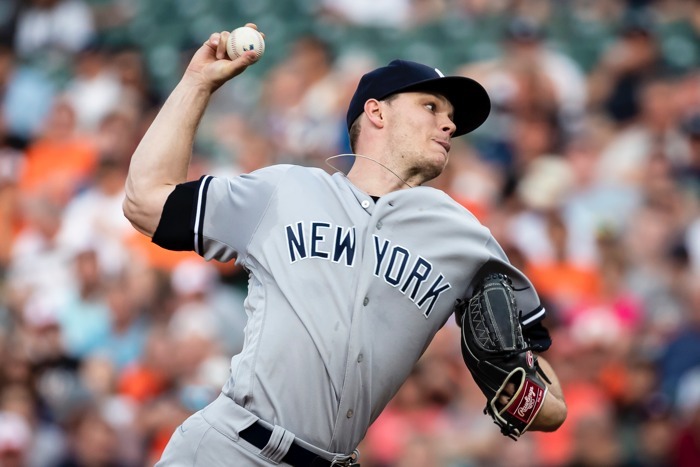 Gray had been one of the most obvious trade candidates all offseason, and the Yankees did not hide that fact in the slightest – indeed, they traded for starter James Paxton and signed free agent starter J.A. Happ, despite having Luis Severino, Masahiro Tanaka, C.C. Sabathia, and Gray already in place. If I recall correctly, Yankees GM Brian Cashman espoused the belief that Gray is better suited somewhere other than Yankee stadium, specifically. And that’s partially why this trade can be a bigger deal than meets the eye. “Change of scenery” types don’t always work out, but sometimes there’s just something unique about a certain ballpark, team, organizational philosophy, coaching staff, whatever that doesn’t work for a guy in one place, but does in another. With Tyler Chatwood and Jake Arrieta both fresh in our minds, Cubs fans should know that better than anybody. Gray, meanwhile, is just the latest improvement to the Reds, who are clearly going for it in 2019. Remember: they’ve already added Yasiel Puig and Matt Kemp to the outfield, as well as Alex Wood and Tanner Roark to the rotation, which, in addition to guys like Joey Votto, Eugenio Suarez, Scooter Gennett, Tucker Barnhart, and Raisel Iglesias gives them a half-way decent team in an increasingly tough NL Central. There’s not a ton of obvious star power there, sure, but there *is* a lot of prime-aged talent. If one or two of those guys have a career year, which is not out of the question given their ages, the rotation could be strong – and it clearly already has depth. I still don’t think this will end up being enough for the Reds, but they’ve sensed an opportunity and after seeing the Brewers take a big step forward last season, it’s hard to blame them. As for market impact, I think you have to absolutely assume this takes the Reds out of any Corey Kluber or Trevor Bauer trade talks, to the extent that’s still out there, but it might push teams like the Padres and Brewers, who are still searching for a starter via trade, to up their offers. Seeing it laid out, yes, I can understand how this’ll be viewed as an overpay, but if there really is something to Gray’s struggles in New York, specifically, I can see it working out. It wasn’t too long ago when Gray was one of the more coveted arms in baseball. He’s still young, he can be that guy again. Of course, he still has plenty to prove … and so do the Reds. Oh, and I forgot to mention that the Reds pitching coach, Derek Johnson, was Gray’s pitching coach back at Vanderbilt. People are making a big deal about that, so … there ya go. Passan has since followed that up by confirming it as a done deal. So in the end, it looks like the Reds have acquired Sonny Gray and LHP Reiver Sanmartian from the Yankees for Shed Long and a competitive balance pick. The Yankees, then, have flipped Shed Long to the Mariners for Josh Stowers. Jerry Dipoto must’ve felt left out. Previous PostPrevious post:Ben Zobrist Understands the Nature of the Business, But Would the Cubs Actually Trade Him?